In 1994, Watsons Malaysia opened its first outlet in Holiday Plaza, Johor Bahru. 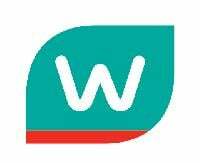 In 2005, Watsons successfully acquired the Apex Pharmacy chain, in which consists of 18 stores nationwide. This significant milestone brought Watsons to a higher level in the pharmacy business. Today, Watsons operates over 350 stores in Malaysia serving more than 50,000 customers per day.